This fund utilizes its assets to purchase stocks in U.S. stock market and includes large-, mid-, small-, and micro-cap stocks regularly traded on the New York Stock Exchange and Nasdaq. The expense ratio is quite low, only 0.05%. The current shares price is 108.57. If you have $1,000 funding, you can buy about 9 shares. 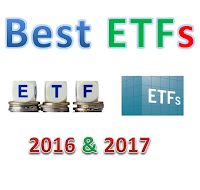 This best ETF for 2016 & 2017 has a 3-year annualized return of 16.67%. In 2015, the YTD return is 3.35%. The total net assets are $57 billion. This fund is ranked with 5 stars rating by Morningstar. It has returned 16.47% over the past 5 year, and 8.21% over the past decade. The top 5 stocks in its portfolio are Apple Inc, Exxon Mobil Corporation, Microsoft Corp, Johnson & Johnson, and General Electric Co. Top 3 sectors are technology, healthcare, and financial services. This iShares Core Total U.S. Bond Market ETF is tracking the Barclays U.S. Aggregate Bond Index. This fund invests mainly in high quality bonds such as US Treasury bonds, corporate bonds, mortgage-backed pass-through securities, etc. This index fund has a low expense fee of 0.07%. The current yield is 2.32%. It has $25.68 billion of assets. The average credit quality is A. Another alternative of this bond fund is Vanguard Total Bond Market ETF (BND). WisdomTree SmallCap Dividend ETF is ranked with 4 stars rating by Morningstar. The 12 month dividend yield is 2.92%. The current expense fee is 0.39%. With assets of $1.2 billion, this exchange traded fund invests mainly in small-capitalization segment of the U.S. dividend-paying market. The 3 year annualized return is 15.18%. In 2015, the YTD return is -1.64%. Top 5 stocks in its portfolio are Vector Group Ltd, PBF Energy Inc Class A, Theravance Inc, UIL Holdings Corp, and WGL Holdings Inc. This PIMCO Total Return Active ETF is an actively managed exchange traded fund. It has a dividend yield of 5.05%. The annual expense ratio fee is 0.55%. The current share price is $106.79. This intermediate term bond fund has $2.48 billion of assets. Morningstar has ranked this best bond ETF with 5 stars rating. In 2015, it has YTD return of 1.11% (up to August 18, 2015). The average 3 year return is 3.49%. The average credit quality is not rated. Another alternative is SPDR DoubleLine Total Return Tactical ETF (TOTL). This fund is managed by DoubleLine Capital LP. 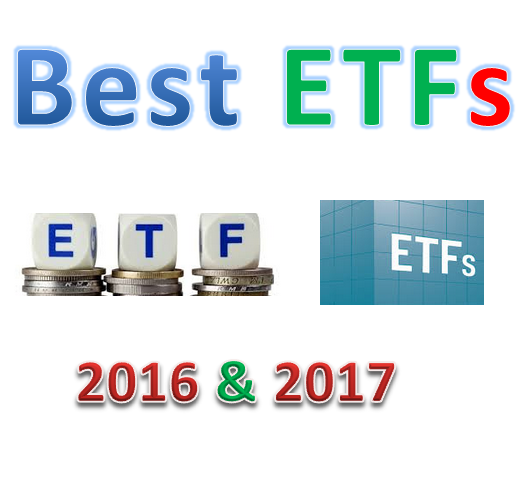 It is a new ETF. This WisdomTree International LargeCap Dividend ETF is ranked with 3 stars rating by Morningstar. This ETF invests mainly in the large-capitalization segment of the dividend-paying market in the industrialized world outside the U.S. and Canada. It has assets of $406 million. The current yield is 3.50%. Its expense fee is 0.48% per year. This small growth fund has year-to-date return of 8.22% in 2015. As of July 2015, the top 3 stocks in its holdings are Qorvo Inc, ISIS Pharmaceuticals Inc, and DexCom Inc. Top 4 sectors are technology, healthcare, consumer cyclical, and industrials.